A.A. Luce on “The Fisherman,” by W.B. Yeats. 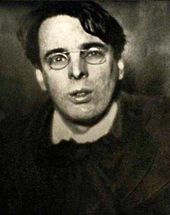 Irish poet William Butler Yeats, winner of the 1923 Nobel prize in literature, published “The Fisherman” in 1919. In the poem, Yeats describes his past observation of a fly fisherman. In his memory, this man represents a simple life, free from the daily pressures most of us face. No doubt, Yeats faced serious pressures, indeed; when he wrote “The Fisherman,” he was already a successful poet and felt many demands upon his time and talents. And he had been deeply involved in Irish nationalism and would immerse himself in politics again, in the future. I share the poem, below. Following it is commentary upon its meaning by A.A. Luce. Importantly, Luce was a philosopher and a fly fisher, himself. I like Yeats’ poem, despite what feels to me like a bit of whining on its author’s part. I have faced my share of challenges, but my life is filled with blessings. One of them is the fact that I can fish regularly. As Luce suggests and perhaps as Yeats felt too, I find “the real” when I fish or otherwise spend time free from many of expectations and requirement placed upon me by those with whom I have very little meaningful connection. I was interested to hear a guest lecturer in my angling literature course say much the same thing this last week, and I wonder how many others feel the same. Regardless, I look forward to a good sleep and to experiencing reminders of what is “real’ tomorrow on the stream. Addendum (11/5/18): I found mention of Yeats in this essay on occult bookstores, published this morning, to be intriguing: “Reading the Occult,” by Neil Armstrong. This entry was posted on October 27, 2018 at 10:42 PM and is filed under Environmental Literature, Fly Fishing, Fly Fishing Literature, The Arts, The Environment. You can follow any responses to this entry through the RSS 2.0 feed. You can leave a response, or trackback from your own site. I don’t know a great deal about Yeats, but he was a dedicated Irish nationalist, and in 1919 the Irish war of independence had started… (officially.) He was also pro-authoritarian and anti-democratic, which undoubtedly caused some emotional conflict. I tend to interpret this as an angry, conflicted man attempting to get his head straight. While one has to be careful about reading more into something than the author intended, I get a lot of echos from the civil and philosophical/political conflict that was happening at the time. Some of those lines definitely reflect anger, on Yeats’ part. While much of Yeats’ anger probably had to do with his nationalism, I suspect he was also thinking about competing authors, picky editors, and so on. Yeats is a curious case, for sure. Ultimately, I cannot help but be at least a little bit critical toward any author so prone to romanticism.